U.S. Southern Pulpwood Study - Fastmarkets RISI - Objective Insight. Better Decisions. 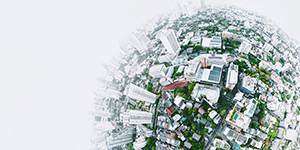 Understand supply, demand and competitive indicators to determine the competitive standing of US Southern pulp mills and those with highest potential to overcome market challenges. Major changes occurring in the pulpwood industry pose threats to resource availability and pulp operations in the US South, a market that has seen an overall decline in profit margins since 2011. Pulpwood prices are at record highs, up 14% for delivered pine since 2011 and up 21% for hardwood. A recovery in residential construction will boost OSB output at the same time that announced large-scale pellet projects will commence operations. On the supply side, forest areas available for thinnings will contract and hardwood resources are still overextended. In Fastmarkets RISI’s analysis, it appears pulpwood demand will expand by as much as 10% over the next five years. This implies pine pulpwood demand is likely to achieve record levels. Consequently, pulpwood prices will step higher and present new challenges for pulp and paper producers, particularly in states where opportunities to expand supply are limited. Meanwhile, on the international front, the US pulp sector will have to contend with a strong US dollar and unprecedented expansion of offshore capacity. How will mills respond to new competition from wood pellets and resurging OSB output? Which mills are at the highest risk of closure due to market changes? Which mills are secure? The US Southern Pulpwood Study analyzes supply, demand and competitive indicators to determine the competitive standing of US Southern pulp mills and ascertains those with the highest potential to overcome market challenges. The study identifies mills that are at high, medium and low risk of closure. It provides in-depth analysis of six sub-regions within the US South with cross sectional analysis of residual chip production, OSB and bioenergy trade. Using a pulpwood price analysis, the study covers trends and relative pricing within each sub-region. 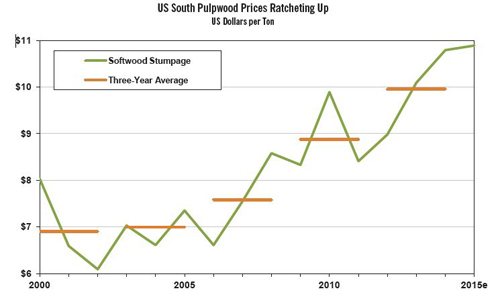 A five-year outlook, the US Southern Pulpwood Study also models supply and demand for forest inventory and forecasts pulpwood prices.